The function of vitamin A is diverse and wide-reaching. A powerful antioxidant, vitamin A is involved in many important functions in the body including vision, helping in cell differentiation, boosting the immune system, fighting infection and helping with reproduction and growth of the body. Vitamin A is versatile because it comes in different forms. Carotenes –beta carotene, alpha carotene—are the precursor of Vitamin A and come from plant sources like carrots, sweet potatoes and pumpkin. The body has two functions for carotenes: turn it into Vitamin A or turn it into an antioxidant. About 40% of carotenes are converted into Vitamin A, while 60% function as antioxidants. The body only converts the amount of carotenes to Vitamin A that it needs, while the rest circulate through the blood as antioxidants. Vitamin A provides anti-infection power by helping strengthen and repair the skin and the outer layers of the eyes, mouth, nose, throat, digestive tract and urinary tract, which is the body’s first line of defense against disease, infection and free radicals. It also helps strengthen the body’s mucous membranes, which is another defense against infection. Another function of Vitamin A is boosting the immune system by playing a role in developing lymphocytes, which are the cells of your immune system that fight bacteria and disease. Vitamin A is necessary for new cell growth; helps protect the cells from cancer by neutralizing free radicals; protects against heart disease and stroke; lowers cholesterol levels; slows the aging process; protects against colds, flu and infections of the kidneys, bladder, lungs and mucous membranes; protects the skin from wrinkles; promotes healthy hair and nails; protects against air pollutants; counteracts night blindness and weak eye sight; builds resistance to infections; slows the progression of osteoarthritis and cataracts; and helps prevent macular degeneration. 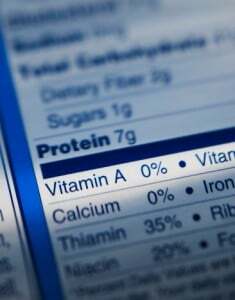 Do I Need Vitamin A? Vitamin A deficiency is rare in developed countries, and most deficiency symptoms are associated with people with decreased protein intake, preschool children and populations in developing countries. Though Vitamin A deficiency is rare in the Western world, there are populations at a higher risk of deficiency, and they include: strict vegetarians and vegans; those who abuse alcohol, since Vitamin A is stored in the liver; smokers; women taking birth control pills, as it reduces the amount of Vitamin A that is stored in the liver; people taking cholesterol-lowering drugs or methotrexate –a drug used to treat breast, skin and lung cancers and severe psoriasis and rheumatoid arthritis. People who limit their consumption of liver, dairy foods and beta-carotene-containing vegetables can develop a Vitamin A deficiency, and people with hypothyroidism have an impaired ability to convert beta-carotene to Vitamin A. People who suffer from night blindness –not seeing well in dim light– are more likely to have a Vitamin A deficiency. Night blindness and cloudiness of the eye, a sign that cataracts are forming, are common signs of Vitamin A deficiency. Vitamin A deficiency can also cause dry eyes and complete blindness and make you more prone to respiratory infections, sore throats and sinus and ear infections. Children who lack Vitamin A are more susceptible diarrhea, slow bone development, respiratory infections and measles. The current RDA for adult males is 900 mcg/day and 700 mcg/day for adult females. These numbers are based on the amounts that are needed to keep adequate stores –four months worth– of Vitamin A in the body to support normal reproductive function, immune function, gene expression and vision. It is possible to take too much Vitamin A, which can result in irritability, abdominal pain, weakness, drowsiness, headaches, hair loss, dry skin, insomnia, weight loss, bone fractures, diarrhea and anemia. Though, intake would have to be extremely high to cause these symptoms. Pregnant women, people over age 65 and those with liver disease should consult with their doctor before supplementing Vitamin A.
Vitamin A comes from two sources: plant sources and animal sources. Retinol, a yellow, fat-soluble substance, is the form of Vitamin A that your body absorbs from animal sources. Carotenes, an orange pigment that is crucial for plant photosynthesis, gives the orange color to carrots, sweet potatoes and cantaloupe and is the plant source of Vitamin A. Food sources of Vitamin A include: apricots, butter, broccoli leaf, cantaloupe, carrots, cheddar cheese, cod liver oil, collard greens, eggs, kale, liver, mangos, milk, papaya, peaches, peas, pumpkin, red bell peppers, spinach, sweet potatoes and squash.